The latest updates for October include increased functionality in bank feeds, changes to the look and feel in inventory, and changes to Redesigned Reports. You can watch a recorded webinar of these latest features here. Redesign Reports tab has been removed and now the Redesigned Reports will appear in your Reports. You can switch these off from QuickBooks Labs if you wish to keep the standard reports. To find Redesigned Reports > Click Cogs company preferences > Settings > QuickBooks Labs. Turn On > If you wish to see the Redesigned Reports. Turn Off > If you no longer wish to see the new Redesigned Reports. 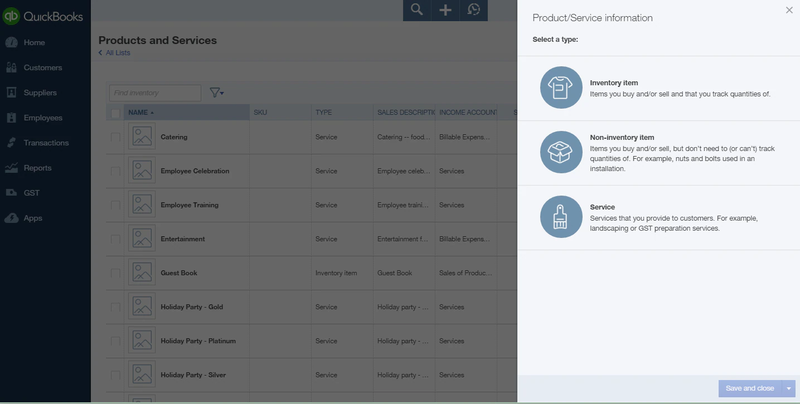 When adding inventory items we now have a side panel on right hand side, Batch edit of Inventory type and a new edition to the products and services type. There is now a non-inventory item with three types to choose from: Inventory item, Non-inventory item and Service. Click cogs company preferences > Products and Services > New (right top corner). A new window opens on the right hand drawer and new Non-inventory item. To add a new inventory item see below. 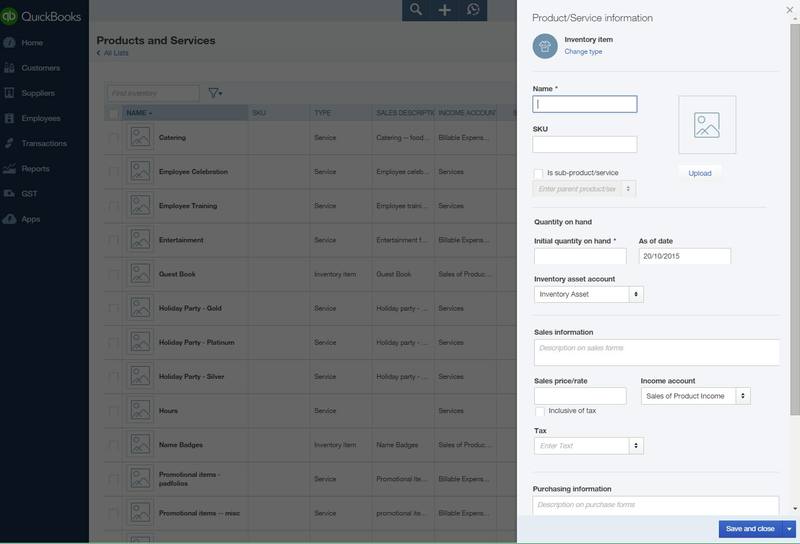 The new format: on the right hand side a new window appears with all the correct information that is required to set up your product or service. 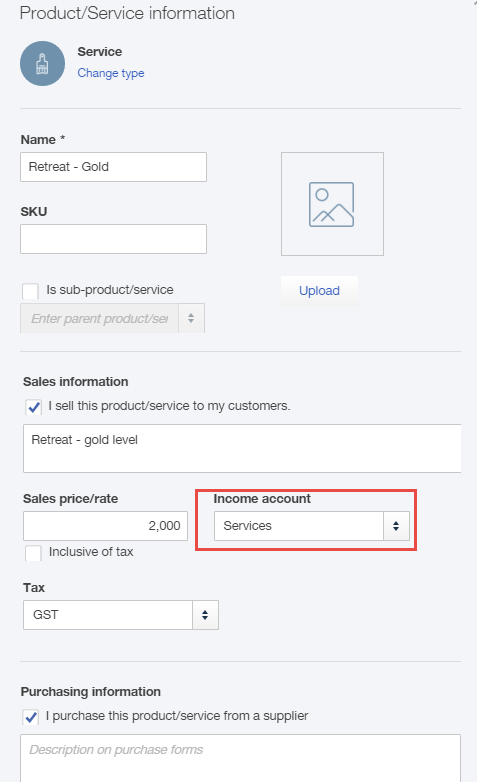 One particular feature which will be very popular is check box just under the GST Tax field in both Sales and Purchasing. 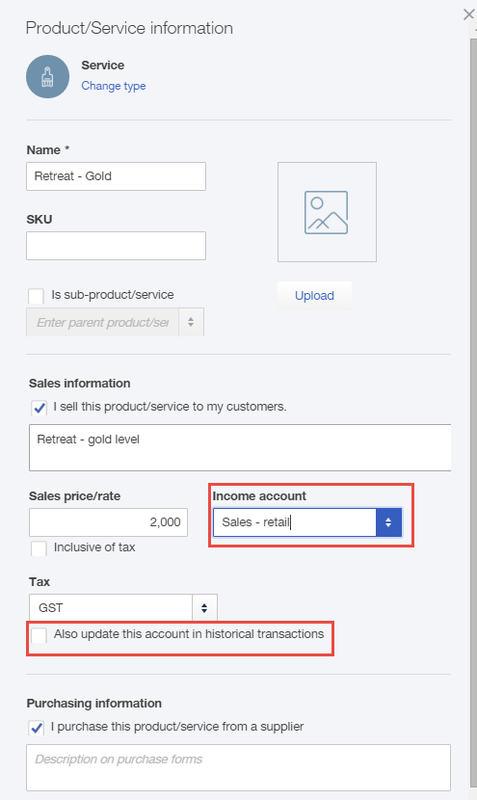 This allows the historical information to be changed which is quite useful if the product or service has been coded incorrectly and the income or purchase default account has to be changed. Let’s look at changing the income account on Retreat Gold. You can choose more columns to appear in your window from the cogs wheel. We hope the updates in October make your bookkeeping that little bit easier.